Most of us are familiar with at least one type of personality test. The Myers-Brigg. The “Big 5”. There are tests that classify you by color. Some classify you by your general disposition with funny sounding words such as “choleric”, “phlegmatic”, etc. I have a love-hate relationship with personality tests and temperament analysis. I love that they give us language by which to grow in self-understanding and in relationship to others. I hate when they become proscriptive, prescriptive and deterministic. I am suspicious when we begin to be lazy and put off onto them the work of defining our self…giving them power to put us and all of our complexities and idiosyncrasies into a convenient…and constrictive…box. And, don’t get me started on the scientific validity (or reliability) of these tests. That being said, in the past couple of years I have discovered another personality typing system that has given me new language by which to grow. I like it because it is flexible and it serves to call me on my sh** and challenges me to grow (if I choose to do the work). The Enneagram is a system that includes 9 personality points. I guess I should stop and clarify that I am NOT an expert in the Enneagram and I am SURE that some of my friends and colleagues who ARE experts will wince and grimace at some of my descriptors here. The idea is that each of us have all nine points within us. However, there is one point from which we tend to stand and position ourselves towards the world. It is our filter through which we hear and understand our experiences. There are several “tests” you can take to determine which Enneagram number is yours. I will tell you my number. I do not have any problem with doing so. However, I want to talk about another number today. I want to talk about my LOWEST number. The Enneagram has all sorts of movement to it. For example, each number when it is under STRESS can look like an unhealthy version of another number (mine becomes an unhealthy, codependent “2”). Likewise, when HEALTHY and balanced, each number looks like a healthy version of another number (mine becomes a principled, clear minded, strong “1”). To make things even more complicated each number has a “wing”, which is the number either to the left or the right that is also a strength. For example, I have a very strong “3” wing. As a 4 with a 3 wing I look very, very different than a 4 with a 5 wing. Still, not what I want to talk about today. And, if you couldn’t care less about all of these numbers don’t give up on me here. Not really my point, actually. The Enneagram also helps you see which areas are weaknesses. Your test can tell you which number is a weakness. SOMETIMES, we can tell which number is a weakness by whom we tend to seek out in relationships to fill that void. We sometimes seek these things out in other people because we are not giving these things to ourselves. When I take the Enneagram I score lowest in one number over and over and over again. 8’s are strong. They are leaders, not easily bullied, and have an intense disdain for being controlled. Will you give me some room here? They are the “F*** you” number of the Enneagram. There really isn’t another phrase that does it justice, I’m afraid. They couldn’t care less what people think of them. So, as a “4” (who becomes overly caring and intensely emotionally adept when stressed), I am hypervigilant, incredibly sensitive, strongly intuitive, and incredibly in tune with the needs and pain of others until those needs dominate my life. I LOVE being a “4”. I love what it brings to my work as a therapist, a teacher, a mom, a friend, and a minister. I love being creative and verbal…and a little weird as 4’s are prone to be (some of you are questioning the “little”). And, sometimes…a LOT of time…my caring, hypervigilant, take-on-the-pain-of-the-world “4” sure needs a “F*** you” 8 to protect me from getting run over by emotions. So, I have some work to do. For as much time as I spend working out at Burn Boot Camp (Feel the Burn, baby! 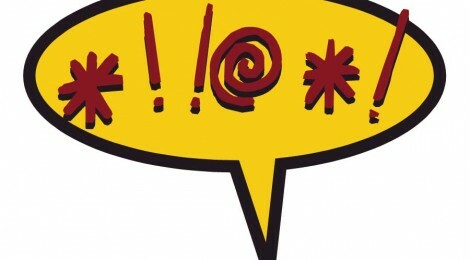 ), I have got to spend some time working out, accessing and strengthening my “F*** you”. NOT in order to weaken my 4. No way. NOT in order to get rid of my strengths… but, to protect and enhance them. So, I’m practicing. I say “F*** you “ in my head at least a few times every day right now. Try it! So fun. So empowering. So strong. My “4” is also prone to some anxiety and depression when not balanced and I am noticing that as I strengthen my “F*** you”…Sorry, I mean, my “8”…my anxiety and depression dissolve. They take a back seat. They don’t feel a need to take the wheel. My “4” feels protected. Bolstered. Not over run. In charge. NOT having to look for that anywhere but HERE. Inside of me. I am NOT saying we don’t need one another. We sure do. I hope my community is filled with representatives from every number. Not only do these individuals extend their unique gifts to me, but in healthy relationship they also help me work on strengthening these parts of MYSELF. You may or may not know anything about your Enneagram number…and you may not care. You might be thinking “F*** you” to me about this whole thing. Not really my point, though. I just want to encourage you, friend, to think about what parts of you feel weak…parts that you might look other places to get fulfilled. Sometimes that is FINE. Other times, it becomes unhealthy and turns into the avoidance of our own personal growth. We forfeit our own development by letting someone else do for us what we can…NEED to…do for ourselves. So “F*** you”. I mean…go take an Enneagram test or color test or whatever test you prefer…and instead of honing in on your strength…sit with your weakness for a bit. I’m guessing that this weak part of your being is STARVING for some attention…and that other parts of you are DESPERATE for its gifts.